If you feel like your design has grown stale or outdated and could use a refresher, look no further than your walls. With the seemingly endless list of creative painting techniques available today, it’s easy to completely transform the look of your room without adding clutter via extra decor or encroaching on your square footage. The following ideas are all you’ll need to give any room in your home a fresh and inviting vibe, no matter your aesthetic leanings or style sensibilities. DIY enthusiasts, this one’s for you. Wall stenciling is a simple and easy way to add sophistication and intrigue to your space without the cost of hiring a professional. All you need to do is order the stencil that strikes your fancy and spend an afternoon giving love to your walls. 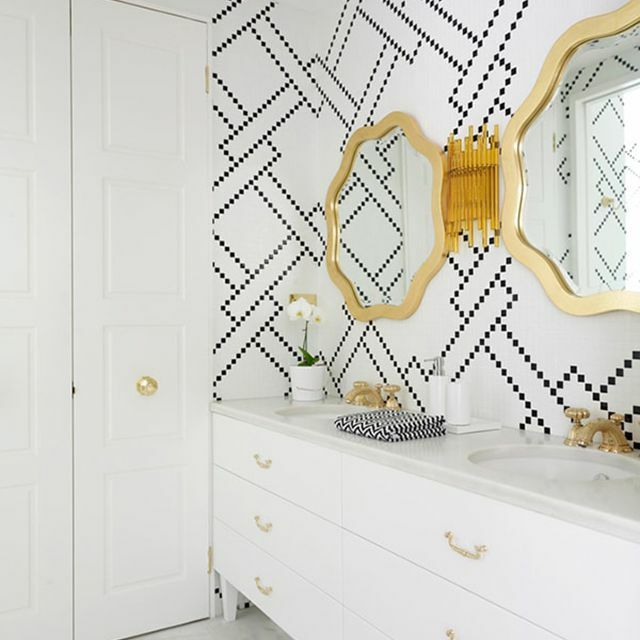 And if you’re stuck for ideas, the internet is overflowing with stencil inspiration, like this gorgeous bathroom from Greg Natale. The classic harlequin wall pattern will instantly add life and movement to your room design, and it can work just as well in the kitchen as it does in the master bedroom or a nursery. Choose colors with subtle contrasts for a more sophisticated look, or opt for higher contrasts in bold hues, like this look from Linda Ahman, for a more vibrant and contemporary feel. For a truly show-stopping update, it doesn’t get much better than metallic paint. The beauty of this idea is that there are a million and one ways to apply it. You can paint your entire room a metallic hue to make a stylish statement, or you can apply metallic accents for a more layered look, like this space by Casa e Jardim. Stripes are a timeless decor staple that will always look fresh and never go out of style. Plus, there are limitless ways to incorporate them. Thin, subtle stripes will add quiet texture and visual intrigue while big and bold contrasting stripes, like these from Style Me Pretty, add abundant visual flair. If you’re not incredibly DIY-inclined but are committed to updating your room on your own, then try adding some interior pizazz by way of polka dots. They couldn’t be easier to apply and they’ll instantly punch up any space they’re in. The unique dose of happy-making whimsy they add makes them especially well-suited for a child’s room, like this example from The Homes I Have Made. Color washing is a beautiful paint technique that adds texture and depth to a space. And it also happens to be fairly easy to apply. You’ll start by coating your walls with a satin base paint, then use a large brush to paint over it with a nice glaze. 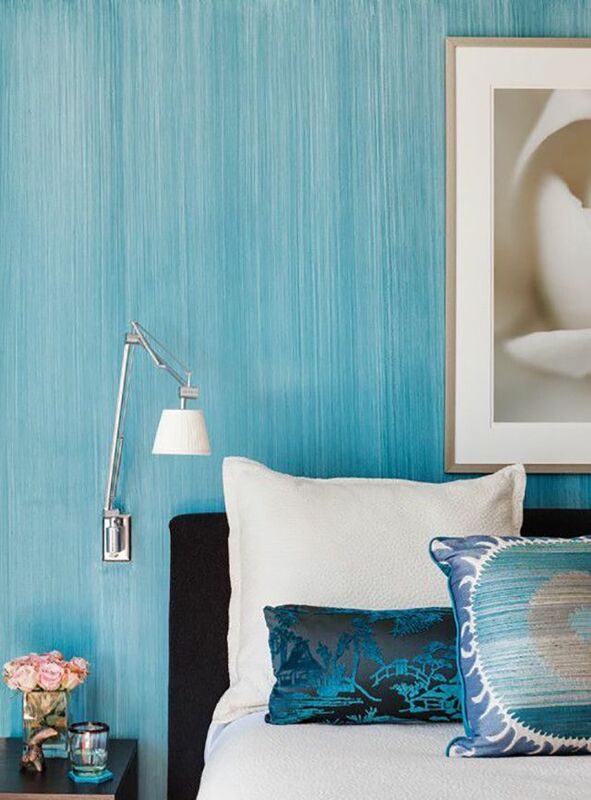 Whether you opt for a vibrant color-washed wall or a more neutral one, like this from Maria Vous, your room will most definitely be more dynamic. Strié, which is the French word for streaking, refers to a paint technique that creates horizontal or vertical lines for a look that resembles linen material. It’s a stunning way to add warmth and texture to your space, as evidenced by this vibrant look from New England Home, and it will blend seamlessly with any style sensibility. Rag rolling is just as it seems—it’s a painting technique that involves rolling a rag up and down wet, painted walls to add texture and depth, like this example from How Did I Do It. What’s particularly nice about this idea is that it’s subtle enough to be applied to any aesthetic without encroaching on the overall design. Sponging is another painting technique that’s just how it seems: It involves using a spongy paint roller or literal sponge to add dynamic texture, like this space from The Family Handyman. It’s quite easy to execute and doesn’t require any specific painting skill or expertise, so it’s a great project for the whole family to participate in. Painting your walls with a checkerboard pattern will add plenty of life and style to your space while eliminating the need for added decor. Even better, there are infinite ways to do it. You can paint checkers in similar neutral colors for a subtle, textural effect. Or, you can make a stylish splash by opting for bold contrasts, like this space from Classy Clutter.